EVERYDAY MOMENTS: SNAIL MAIL + A CHANCE TO GUEST POST. One of the greatest parts about being a blogger is the community (cliche, but true). I'm an introvert so I tend to stray away from the party scenes because it is truly just way too overwhelming. 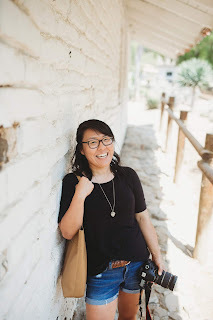 I love a good one-on-one and to me, blogging has always been a safe place for me to share my thoughts, make new friends, and learn from others, too. A lot of people complain that my generation is too addicted to technology. And as a blogger in her twenties, I am probably guilty as charged. But there's also a part of me that clings to the "olden days" as my parents call it. I refuse to use e-readers because I like holding books, I read the newspaper at breakfast, and I like sending (and receiving!) snail mail. Yep, good old snail mail. I think I first fell in love with snail mail back in third grade when my elementary school set up a mail system of sorts where we could send letters to our friends, classmates, and buddies in our entire school. I briefly lost interest when it wasn't considered cool anymore in middle and high school and recently picked back up when it penpals became the cool thing that bloggers did. There's something about a handwritten note that screams thoughtfulness, care, and concern. Getting a pretty envelope in the mail reminds you that distance doesn't have to separate friendships and that people all over the world care about you, too. And now that I'm an adult, I've decided that just because postage is expensive and it may not be cool for everyone, snail mail will always be a part of my life. I believe in a good handwritten thank you card or birthday card and always believe that snail mail makes a much happier surprise than bills or junk mail. So here's to snail mail. Here's to the chance to make new friends, keep the old. Here's to remembering that brightening someone's day doesn't require lots of money or expensive gifts. 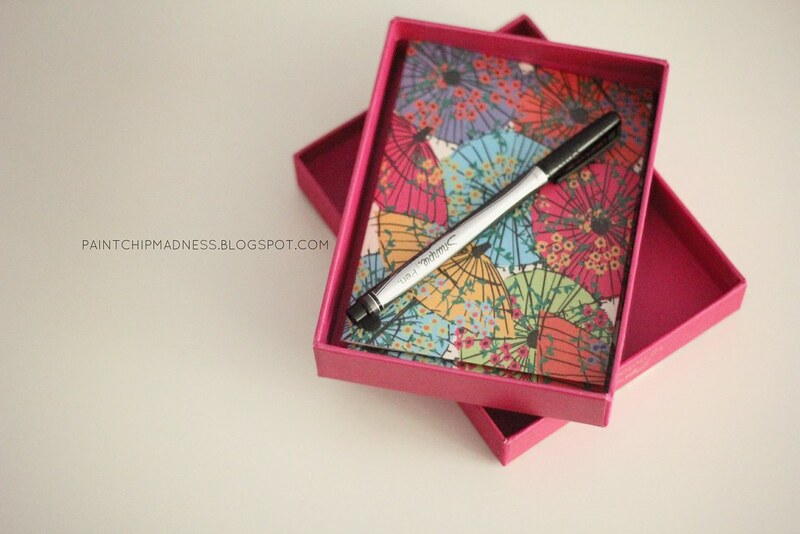 It's about the little things, stamps and pretty calligraphy included. Now here's where the fun part comes: I want YOU (yes, you!) to share your everyday moments! I contemplated opening this up as a link-up, but truth be told, I would really much prefer it if you were here on my blog so everyone could get to know you. Like any good (or snoopy) blogger, I want to know what makes you treasure the everyday moments in your life. I want to be reminded of the beauty in the everyday and I want you to be able to share them, too. So, if you're interested, let me know in the comments and depending on the response, I'll send out a group email with more information. p.s. I really and truly am serious about this guest-posting thing. Pretty please join in, okay? p.p.s. I'm over here today taking over this dear friend's blog. Come say hello, okay? I'm a little bit of a "school supply" and stationery hoarder. I get a little bit too excited in those isles in the stores! Fun story... When I was probably 14 or 15 I went camping with my family. I met two other girls that were camping the same week. We hung out and became friends. Now... this was before the internet so we swapped addresses and became pen pals. We wrote for a while and then it died out. Fast forward almost fifteen years... I'm selling jewelry and at a group event where other people are selling their things. This girl beside me selling Avon looks familiar. She thinks I look familiar too. We keep trying to figure out how we know each other and then it clicks... Cooks Forest! Years ago! Pen pals! I absolutely agree! 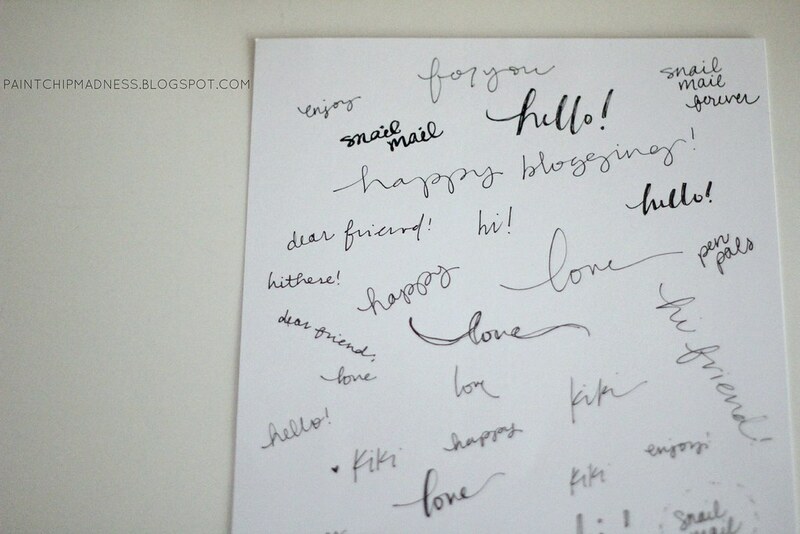 When I first started blogging and started meeting other bloggers and getting acquainted...we actually wrote letters to each other as well. I have such good memories of those days. I'd love to join in on this Kiki! As for joining in, I'd LOVE to have you! If you're still interested in guest-posting and sharing an everyday moment, then I'd love to have you! I'll write you down and send a group email in the next week or so, so be on the lookout for an email soon! I would love to join in on this for sure! btw. i love your note cards, so pretty! I love the bright colors! Uh, HOOORAY!!! I would love to have you be a part of this guest posting series opportunity! I love and adore your writing and photography and cannot wait for this post of yours! :) I'll write you down in the contact list and will be sending a group email in the near future! well, it's no secret that i love snail mail, so i'll be emailing you ASAP! also, i would LOVE to guest post sometime! in fact, i'd be honored! Exactly! Email is definitely not the same as opening an envelope and seeing handwritten notes. :) So glad to be pen pals with you, friend! Snail mail is the best! I always get so excited when I get surprise mail! I'm totally in for Everyday Moments! Can't wait to hear more! And as for guest posting, I'd looove to have you! I'm sending out a group email in the near future and will definitely include you on the contact list! As for guest posting, I would love to have you! I'm sending out a group email and will definitely include you in the list! Aww... Yay for the note from Amy! :-) I adore snail mail too. :-) And I would love to guest post if you're still looking for people. Snail mail really is the best, right? It's seriously one of my favorite things ever. I loved it as a kid and still enjoy getting cards and stuff in the mail! I would loooove to have you on my blog, Susannah! I cannot wait to read your post and will be sending out a group email soon with more info! Oh oh I love this. And snail mail. I have a separate notebook for letter writing with pockets for all the received letters. I would love to help you grow or do any series you're working on. Let me know if it comes to something! As for guest posting, I'd love to have you! I'll definitely keep you in the loop and am planning on sending out a group email soon! ahh!! i love snail mail!! :) there is just something so special about getting something pretty in the mail! and something you can read over & over again! And as for guest posting, I'd love to have you! I'm sending out a group email in the near future and you've been added to the list! Hip, hip, hooray! I cannot wait to read your post. :) I'm sending out a group email in the near future and you've been added to the list to contact! P.S. I feel the same way about e-readers. And I have a Kindle. I LOVE it, but nothing beats holding a book in your hand, turning the pages, and smelling the pages as you turn them. Weird question: are you a bender of the binding or like to keep it smooth and crease free? But I digress. 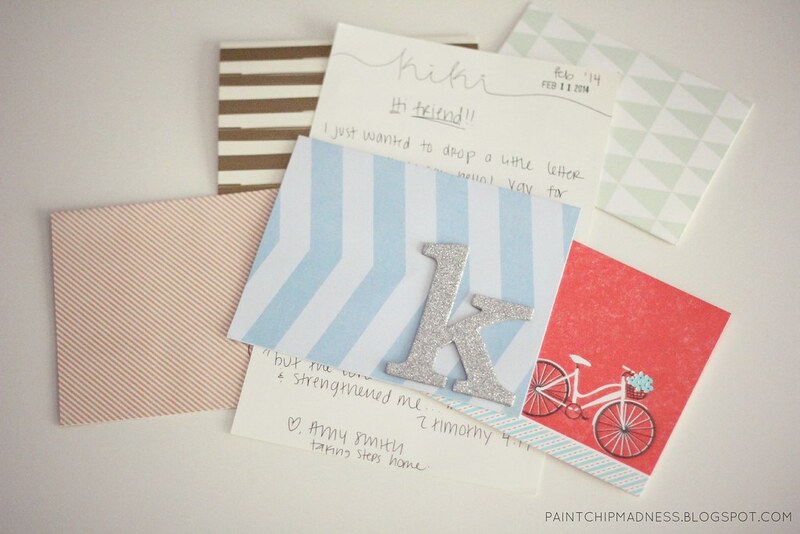 I love that you were pen pals with a deployed soldier--that sounds really cool, too! I've never thought about doing that but I actually think that would be really cool to do and a great way to get some overseas mail, too (definitely not a dork for saying that!). And as for guest posting, I would love to have you! I've done it a few times now and have to say that it really is a great way to meet new bloggers and to get your blog name out there. Plus, it's a lot of fun! That said, I'll be adding you to the contact list and will be sending out a group email in the next week or two. Lastly, I agree with you on the whole real book thing. I love the feel of a page between my two fingers and that's something that I just can't break and refuse to, too. :) I'm kind of a neat freak so I actually like to keep my bindings smooth and crease-free. What about you? Yay! Snail mail rocks. And there is nothing like receiving some. It brightens a day in a way email can never do. Gah, I love getting mail in my mailbox so much! I actually made a goal this year to send a letter to a different friend once a month and it's going really well so far. I'm working on my letter for March! I would love to be considered for a guest post - fun idea! Isn't mail in your mailbox the best? I remember when I got my first email account and was ecstatic about getting one email from a friend and then there were emails with notifications about my blog, etc., etc. But snail mail is just one of those things that I'll never get tired of getting. And if you're interested in guest posting, I'll add you to the contact list! I'm planning on sending out a group email in the next week or so, so stay tuned! snail mail is my favorite! i am in any kind of snail mail party or challenge of any sort!